Mani of the Day & CND Nail Lacquer Removal! As you can see, my nails have grown significantly, so its time to take it off and apply something new! For everyone who was concerned about my nails being damaged afterwards, I’m glad to say my nails are great! No visible difference from any other manicure! I simply let them soak in 100% acetone and they it all came off after about 10 minutes. I moisturized and was ready to repaint! 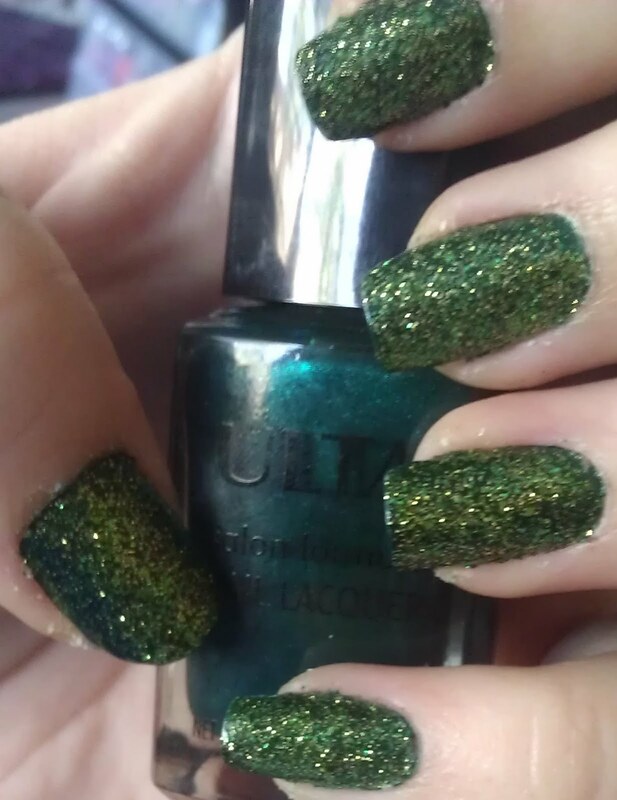 This is Ulta Nail Lacquer in Envy. Over this is Sinful Colors in Call You Later. 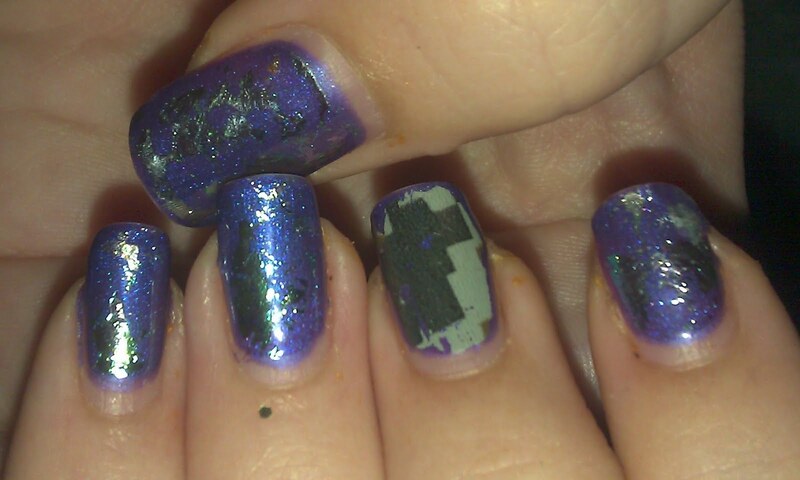 No additional top coat. What do you guys think? 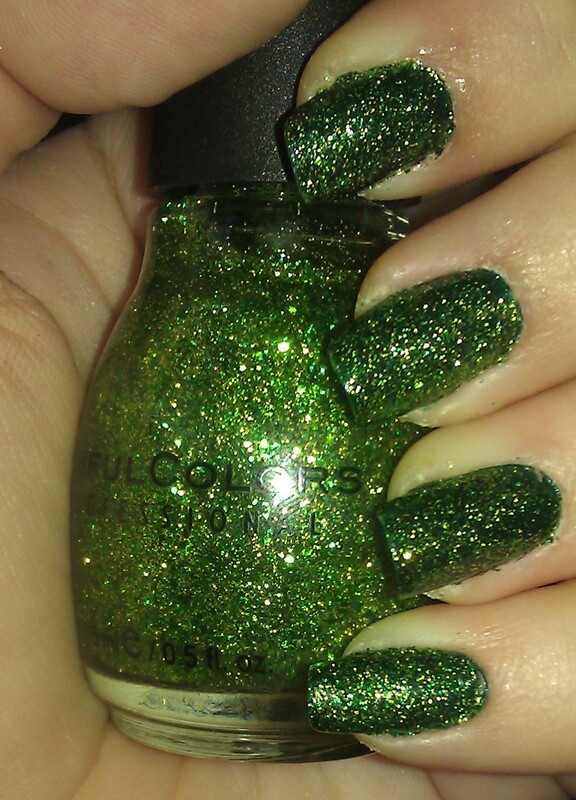 Its hard to tell but Call You Later has lime green, medium green, and golden green glitter in it which I love! Flower Beauty Nail Lacquer in Good Bud-Dy Review & Swatches Pomegranate Nail Lacquer in Spoiled Brat & The Queen’s Jewels Swatches & Review Nails: Tuilleries by LEX Nail Lacquer Swatches & Review Nail Challenge 2012 Day #9: Rainbow Spun Sugar Mani!